With gracious permission, the APFC has agreed to allow Adrian's Angels to reproduce this article. 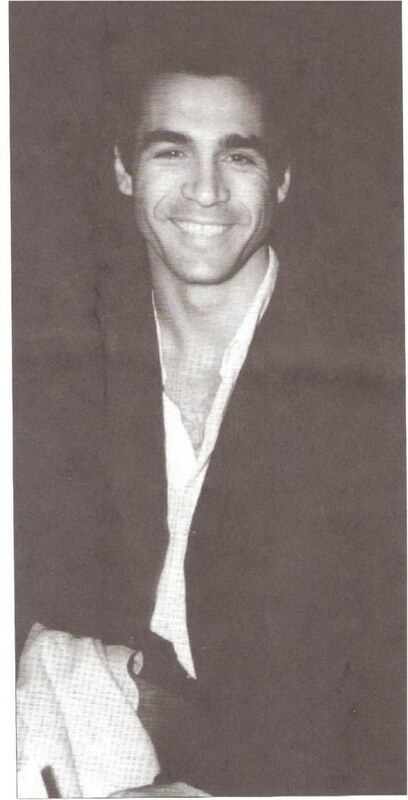 **Note: These first issues also came with a color 4x6" photograph of Adrian attached to the front. DO NOT LINK TO THIS PAGE!! It's private for Adrian's Angels only!!!!! 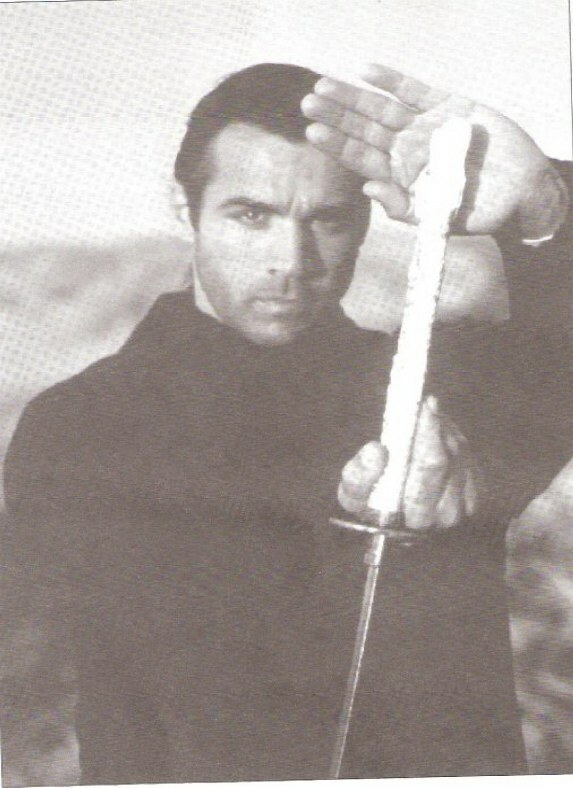 Adrian Paul, Adrian Paul Fan Club or it's licensed representatives. 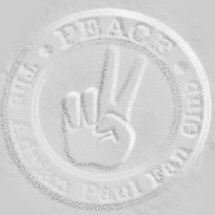 I want to take this opportunity to thank all of you who have donated your time and energies into trying to make PEACE a success. The road to achieving a goal is never easy, and I know that achieving peace is no different. I want to share with you some things that I learned about myself during the course of the past year. “What now?” and “What is life going to bring?” were two of the questions I had when “Highlander” was over, but I was positive that I wouldn’t sit around and do nothing or just wait for things to fall in my lap. At the beginning of this year, I set goals for myself. I wanted to get my film career off the ground. I wanted to create my own film projects. 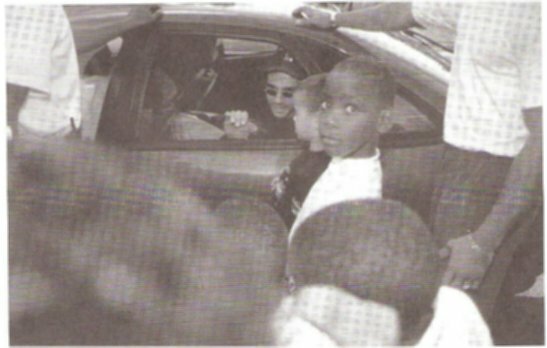 I wanted to start a foundation for kids that would marry corporate America and celebrities on a more personal basis. I found along the way it was never quite easy, nor should it be, to achieve all the goals that I’d set. Ever since I started this fan club, I’ve always said that what you give out you get back in return. To that extent, I still believe that the questions and the desires that we put out through our subconscious mind are always answered. I also realized, however, that many times when we ask these questions, we aren’t ready for the surprising answers that are put in front of us. We don’t see them because they aren’t the answers we expected. It’s like trying to climb a mountain when the path you thought wou were going to follow is not the path you eventually take. When we give power to things like money, career, or other peoples’ opinions, we operate our lives according to that. Maybe that’s not what life is supposed to be. When something negative happens to me, I’ve learned to say to myself “it doesn’t matter”. Suddenly, things seem brighter and the knot in my stomach goes away. I’ve realized that because of society’s role in giving us rules and regulations, we’re confined to what everybody else thinks, therefore, we empower society with our life. Sometimes that makes us unhappy. If we stop living our lives in fear of the unknown and take a chance with the answers that present themselves, we would each find our true path in life. It’s taking a chance that having a good thought or finding a good solution to a bad situation, although not gratifying at that moment, will eventually have the desired result. I see so many people who are miserable with themselves because they haven’t listened to the answers that have come to them. We all make the decisions in our lives; nobody else does. We make the decision to live our life a certain way, and we’re very surprised when life has not given us what we expected. Even when bad things befall us, our first reaction should be to look at the positive aspects and the benefits that the situation provides, instead of trying to understand why it happened. If you dwell on the negative aspects of the situation, the only person harmed is you. The message I am trying to convey here is that when you have a negative thought about somebody or about a situation, think to yourself “it doesn’t matter.” Think that there is a positive solution to the problem. I hope that you all find your paths in life and that the negative thoughts don’t influence the decisions that you make. I will continue to strive to make the films you want to see, whether I’m behind the camera or in front of it. I don’t know what my path will be, but through PEACE, I’ll bring you the information along the way. Until then, thank you for being with us in 1998, and I hope you’re still there in 1999. 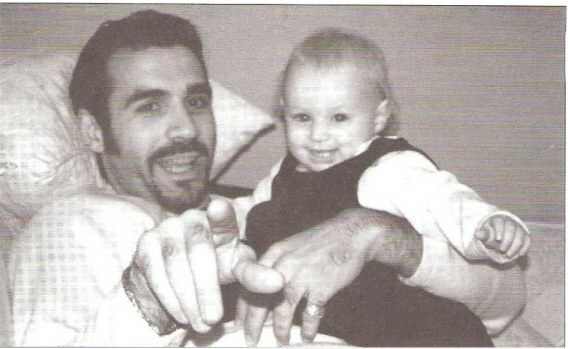 In the August ’97 issue of PEACE you stated your views on how you would raise children. I would like to know if you would be willing to adopt and, if so, would you adopt a ‘hard to place’ child such as a non-Caucasian or handicapped child? I’ve always thought that eventually I would have my own family. Contrary to some people’s opinions, the formation of The PEACE Foundation, which stands for Protect, Educate, Aid Children Everywhere, did not come about because I cannot have children. Trust me, I can. believe most of us do. Adopting a child is not something you do to please your own ego, and it’s not something you do because you think that it would be cool to have a child that was not of your race. Adoption is not something to be taken lightly and should be done for the right reasons. As to adopting a physically handicapped child, I couldn’t answer that truthfully, because the situation hasn’t arisen and I don’t really know what my answer would be. Being elementary school teachers, we would like to know your views on education. How important is education to you? Is there a big difference between education in England and education in the United States? Education is a very tricky subject. We teach our children moral views and academic skills, but often we impose our own views on them and they grow up elieving that ours is the only way to look at life. We should give children choices and allow them to decide what they want to believe. Education has its merits, but I believe its greatest strength lies in giving children the discipline to learn and to educate themselves to a higher state of being. being badly influenced or misguided by adults in their early lives. This brings me to discipline. I am not averse to punishing a child in whatever way necessary for that child to understand that there will be a consequence for every action. Each individual is different, therefore the form of punishment has to be different. Some individuals would become more stubborn the stronger the punishment. Therefore, what is the answer? I read somewhere that your Italian temper sometimes came out when you were younger and that you got into a lot of uncontrolled fights at school. I’m a mother of a 14 year-old son with an explosive German temper. Do you have any suggestions on how to diffuse the bad temper and refocus the anger? Sometimes anger in children can be credited to factors we never even think about. No matter how much physical discipline we give them, it might have no effect at all or it might be channeled in a totally different area. If they have problems in a specific area of their lives, with their family, their friends, or with themselves, they might vent these frustrations in an angry or violent way. The solution is to try and find these problems and cut them down before they do irreparable harm. If you could produce/direct a show for children what would it be like? What level of violence do you think would be acceptable in such a show? Then I woke up. It was all a horrible dream. Seriously, I have no idea what type of show I’d do for children, except that I would probably want to produce something that would teach them some value or lesson that they were not necessarily being taught at home. If I had the answer to this, I would be making a lot of money producing the show. By the way, I don’t think that you can rule out violence. It is around us. You have to educate people, especially children, as to the cause and consequence of those types of actions. Since you travel extensively, what do "home" and "roots" mean to you? Is "home" where you stash your stuff, stay between trips, have the most friends, etc.? Do you have any present-time personal "roots"? Not ancestral places, but places where you consider yourself most entrenched, established, connected, etc.? Seeing many other parts of the world can be interesting and exciting. Where would you most like to be based and why? Or would you rather constantly travel and not have commitments to or in any particular place? I love traveling because it allows me to experience different cultures and to learn from them. Home is not just a place where you stash your stuff, but the place where you feel most comfortable. When I travel, I feel most comfortable in maybe two or three places and for varied reasons. I think I would like to have a home in the United States, but I would also like to have a home in Europe. Don't ask me where because I haven't figured it out yet, but I like the things that both have to offer. When I travel, it is because I am able to. Many people cannot travel because they have commitments such as families or jobs. Sometimes people are just scared to leave what they feel is their safe area. At this particular time, I have none of those boundaries. I don't have to stay in one place, and I am at liberty to move wherever and whenever I wish. There will come a time when I won't be able to or won't want to travel as often. Why are you drawn to America to live and work? Are you more comfortable in America or Britain? What are the cultural differences between the two countries? As human beings adapt very easily to the situations around us, I think I originally came to America because I believed that I would have greater opportunity to succeed in the profession that I'd chosen. There are many cultural differences between Europe and America, and the amount of history that Europe contains has shaped the cultures within it. Because America is a large and relatively young country, it hasn't had time to form these cultural boundaries. There are times, however, when both of these factors can have a positive and a negative effect on the people. The great cultures of Europe and the sophistication of the countries can be so deeply rooted that it becomes snobbish. In America, dreams can come true with a lot of hard work and talent, yet sometimes this fast-paced need to succeed causes people to miss the importance of what life is about. In your travels around the world, both professionally and personally, what have you noticed to be some of the similarities among people regardless of culture? What are some of the differences between them? our elders and our families, that our societies are unique and different from other cultures. Regardless of our differences, however, people of all cultures react in similar ways to certain situations. We all have the same joyful feeling when something good happens or when one of our family members does well. Family values are one of the most binding similarities shared by the many cultures on the face of this planet. Unfortunately, however, through the color of our skin or through one man's belief that his religion is better than someone else's, we learn to fear our neighbor. From fear we breed hate. In a recent study in Northern Ireland, 12 year-old Catholic children were asked the question, "Who do you hate the most?" They replied, "The Protestants." Similarly, 12 year old Protestant children were asked the same question and they replied, "The Catholics." The next question both groups were asked was, "Have you ever met a Protestant/ Catholic? The answer was "No." You say that you get mobbed in Italy and France, does it bother you being recognized like that? It only bothers me when people tend to shove pieces of paper at me asking for an autograph while I have a mouthful of food or while I'm concentrating on something that needs my undivided attention. Otherwise, I don't mind. I get a little fearful about being recognized by large groups. Believe it or not, although I like being recognized, I don't like being singled out in the middle of a street. pestered by photographers and driving in Paris traffic? Oh, don't think that I'm not just like everyone else. Traffic in any country makes me fume, but I liken it to Duncan's path in Season Six. He was trying to strive for a state of being where his emotions were negated so that he could try to attain an equilibrium and make decisions without being affected by anger, lust, or hate. That is easier said than done, however, and there were times when he would burst forth. They say the path to enlightenment is a rocky one, and I believe that's what it means. 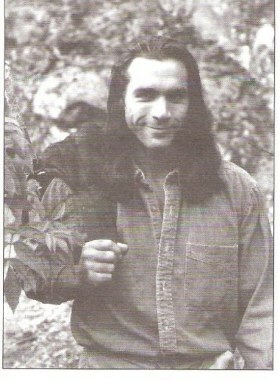 In playing an immortal, Duncan has dealt with death extensively. Do you feel this constant reminder of our fragility as mortals has changed you and the way you go about living your life? You know the old saying, art imitates life and life imitates art? Well, along those same lines, a teacher once told me that as I changed as an actor I'd also change as a person. That certainly came true while doing Highlander. There are many people who believe in the universe having a finite end. The theory of the big bang is that since the planets, universe, and the galaxies are all basically moving towards one end, they must have come from something and will end at one particular space in time. This leads some to believe that everything that we do on this journey, be it in this form, another lifetime, or on another planet, has been predestined and preordained and we have no choice in what we do or say. Let's just say, for instance, that your friend drops his wallet on the ground and there's five hundred dollars in it. It's already predestined that you are/aren't, going to give it back ... or is it? If we have been put in this life or in this body to exist, there must be a reason why we're able to make choices and make decisions regarding events that happen to us during our lifetimes. Then there is karma. If you pick up the wallet, depending on what you do with the money, it will have a positive or negative effect on you in the future. You might not get struck down by lightning if you keep the money, but the negative karma that you have put out will return to you in kind. This, 1 truly believe. It didn't change the way I go about living my life, but it made me understand that we should live in the present. We shouldn't worry too much about what happened yesterday or about what's going to happen tomorrow. We should savor the moments that we are faced with in everything that comes our way, good or bad, and learn from them. paths for a reason. Do you think we have two pre-ordained destinies; one basically good and one basically evil? Do you think reincarnation (in a way a form of immortality) exists and does it give us a chance to redeem ourselves for our past wrong choices? Firstly, I'm not certain about reincarnation nor do I have any enlightened comment as to destinies or what exists out in the universe. I do believe, however that we have a choice. 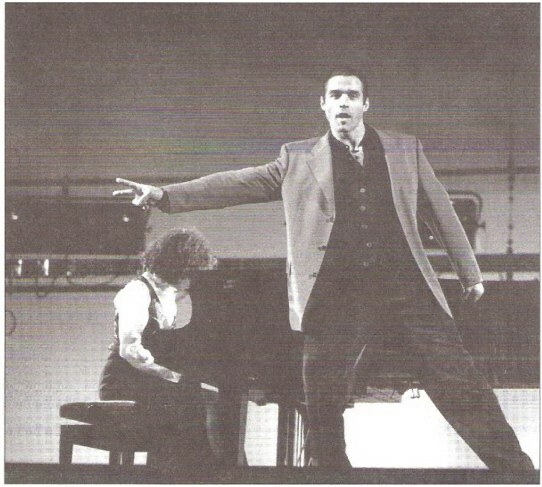 Listed among your credits is the off-Broadway production of "Bouncers." In comparing film/television to live theater, what did you enjoy most about doing a live show? What did you least like about live theater? Would you ever consider doing another live stage production? enjoyed the performance. Trust me, sometimes they didn't. The other beauty of the theater is the continuity. You are performing in a story that you are able to act out from beginning to end each night. In film and television things are done out of sequence and you never get a reaction until much later. I would love to do live stage again, and there will be a time when it's right for me to do it. At this time, however, my plate is rather full and I'm working on dessert. What other activities, other than volleyball, do you take part in to help you relax and unwind? It depends on the mood that I'm in. If I want to be sporty, I love practicing my form work in martial arts and playing golf. I also enjoy swimming, playing tennis, and watching soccer if I have the time. If I feel festive, I love putting on some good music, playing my drums, or going out dancing. Knowing that you can't answer all of the fan mail you must receive, how much of it do you actually get to read and what kind of impact does it have on you? Of the hundreds of letters that PEACE receives weekly, I'm able to read only a few. Every piece of mail is opened and read, however, and occasionally a particular letter will reach me because it contains a poignant moment or tells of a unique situation. I do receive all of the presents that are sent to me and the cards that go with the gifts. It is very difficult to acknowledge everyone since my schedule is often hectic. If I feel like being cultural, I love to travel. And if I really, really want to relax, I like to do what every hot blooded Italian talks about. We all know of your enthusiasm for summer sports like volleyball and tennis and that you can tolerate a little golf now and then, too. 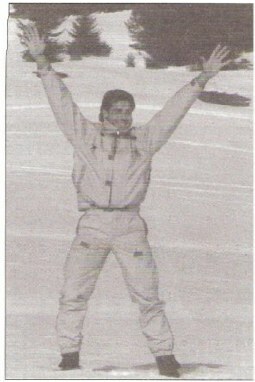 What about winter sports? When you aren't working and have the time, do you particularly enjoy any outdoor sports like skiing or ice skating or even building a snowman? Or would you prefer to just head for the tropics and play in the sun some more? we voice our opinion as to how much that person has meant to us. I've realized that it is easier to tell someone how thoughtful and kind they are or how much you love them than it is to create angst and anger. That said, however, the year 2000 itself will be like every other year that has passed and every other year that is still to come. Nothing special will happen unless the human race makes it happen. If any world altering event should occur, it would be by chance that it should happen in 2000.
with the world about us. 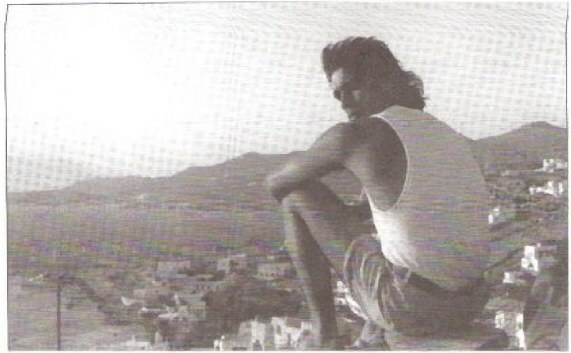 Also appearing in these issues were updates on Adrian's appearances around the country. Looking back, these are fun to hear about. We have removed the contact info because it is no longer relevant. Please remember that this info is about 10 years old. Thanks! Despite the fact that some people seem to believe that Adrian isn’t up to much these days, he’s had a very eventful summer and early fall. In July, Adrian flew to Guadalupe to make an appearance on behalf of the Association of Autistic Children of Guadalupe. He signed autographs in the local mall as well as at the hotel where he stayed. Guadalupe was devastated by hurricanes a few years ago, and Adrian’s presence also helped to promote tourism in the area. It wasn’t all work, though. 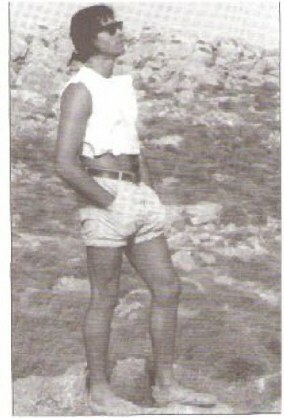 Adrian was able to enjoy the beautiful beaches and surf. Wherever he went, he was warmly welcomed by the local residents. After returning from his Guadalupe adventure, Adrian got back into the swing of things in Los Angeles. Never one to turn down an invitation to a good martial arts film, Adrian attended the premiere of “Rush Hour” starring Jackie Chan and Chris Tucker. From all reports, Adrian had a great time. Always eager to lend a helping hand to a great cause, Adrian participated in and emceed “Shaqtacular III”, an annual event sponsored by Athletes and Entertainers for Kids and basketball player Shaquille O’Neal. The event, held September 19th at Universal Studios Hollywood, featured a competition in which teams of under-priviledged children from various neighborhoods, youth centers, and organizations participated in sports and games. The children earned the right to participate in this event by improving their grades, maintaining perfect attendance at school and/or staying out of gangs. Celebrities from film, music, television, and sports supported the kids as team captains, coaches, or playmates. Kevin Sorbo, Bruce Jenner, Pete Rose, Mark Curry, Kristoff St. John, Leeza Gibbons, Sheila E, Arthel Neville, Dawnn Lewis, Kareem Abdul Jabar, Anna Maria Horsford, Tommy Davidson, and many more took part in the festivities. By the time that you receive this newsletter, Adrian will have just attended the Gathering IV Highlander convention. The convention will be held October 16-18 in Denver Colorado. Other guests set to appear at the convention include Stan Kirsch, Jim Byrnes and the Jim Byrnes Band, James Horan, and Peter Hudson. If you have a convention story and/or photos from the event, please send those to the European branch of PEACE for inclusion in the next newsletter. 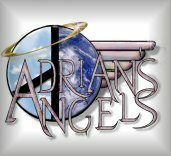 (Page layout graciously and tirelessly reproduced by Rileah for Adrian's Angels. Also included in this issue you will find.....Letter from the Editor, Mouthpeace by Barbara Haines, "Children of our Future" by Risa Simpson Jackson, Playgirl comment letter by Debbie Rowe, Inspiration by Kelly Huntenburg, Obsession, Immortality & Peace by Jo Ellen Teasdale, I was at Gabereau Live! by Elaine Peretti, A Peace Feast by Cynthia Clemens, Contest, The many Faces of Duncan MacLeod pictorial, The MIssing Peace by Virginia L. Hough, Choices by Millie Campbell, Peace-APFC not your ordinary fan club,Friendship through fanship by Gary Daddario, Peace Branch Structure diagram and Talent Search. Wanna see what kind of l'il devil Adrian was growing up?? You can get your copy at: Adrian Paul.net as well of lots of other goodies!! Did you ever wonder where those pictures came from?? The early PEACE issues featured a 4x6 color picure. Yum! 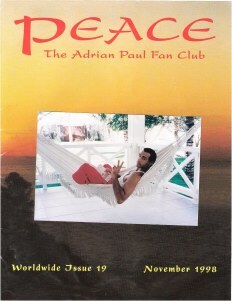 Note: The Official Adrian Paul Fan Club is no longer a paying membership club. Beginning in April 2006, all online issues were to be free to the public. 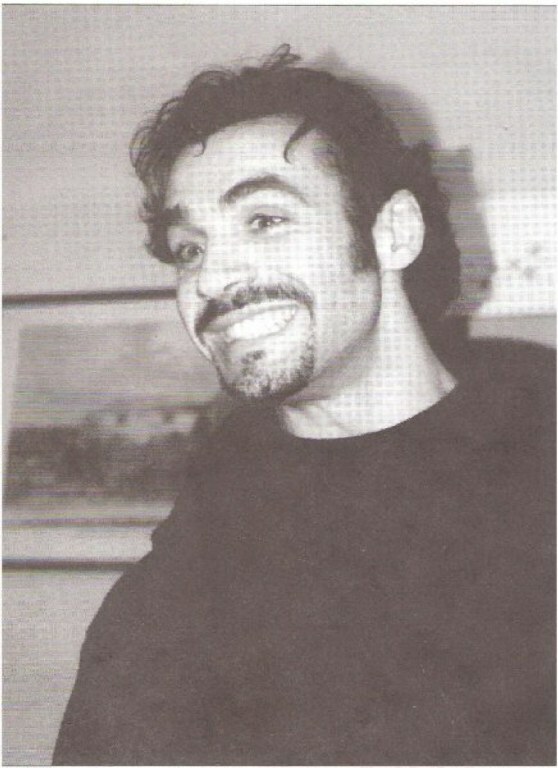 photographs by Susan Gomez, licensed representative of the Adrian Paul Fan Club. photographs, graphics and software. All rights are hereby reserved by APFC.